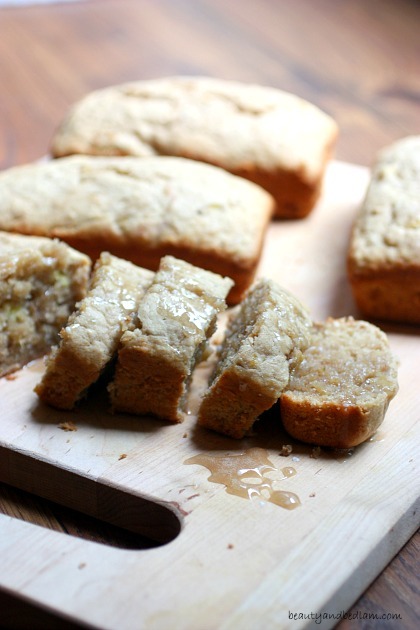 We love any kind of banana bread variations in this home. 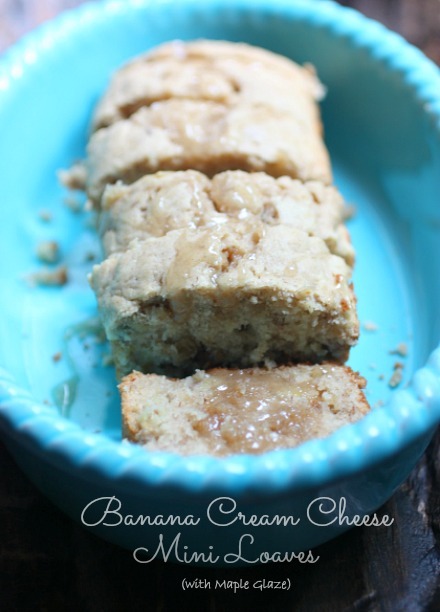 Healthy Banana Oatmeal muffins with natural sweeteners (one of the most popular recipes on my blog), Traditional Banana Bread, Easy Banana Bar recipe with Cream Cheese Frosting, and the list goes on, but I’ve found a new love – Cream Cheese Banana Bread Mini Loaves with Maple Glaze. Since I always buy marked down bananas at the grocery store when they are super inexpensive, it means I make up a lot of banana treats. It equates with comfort food in our home and often, I use them for their healthy and natural goodness, but sometimes, I use them mixed with lots of sugar. It depends on our mood. Recently, I spent the day in Birmingham with my precious friend, Christy, and we took a sneak peek at some of America’s most loved magazines. She has a monthly column in Taste of the South magazine, so she wanted to say hi to her friends at Hoffman Publishing. Since I’m a Southern Girl of 19 years, I definitely can relate to Taste of the South, and decided I should also be able to call myself a Southern Lady (another one of their magazines.) True Southerners may disagree, but I digress. I wasn’t familiar with that gorgeous magazine, but have enjoyed perusing the beautiful pages. 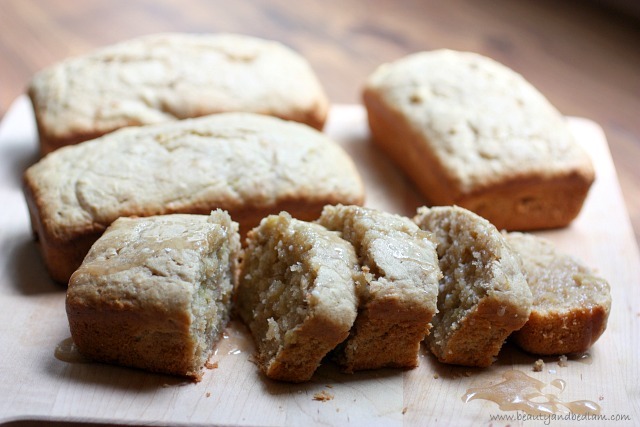 I’ve made Cream Cheese Banana Bread before, but have never put a Maple Glaze on them, so I snagged their recommendation with great anticipation. It didn’t disappoint. Traditionally, it will be a white glaze, but I leaned towards more of a maple syrup route with the above photos. The recipe below is full the white glaze. Summary: This deliciously moist Maple Glazed Banana Bread Cream Cheese Mini Loaves are sure to become your new favorite banana bread. Preheat the oven to 350 degrees and spray 5 mini loaf pans. In medium bowl, whisk flour, spices, baking powder, salt and baking soda. In large bowl, beat softened cream cheese and butter until combined. Add brown sugar, beating until fluffy. Stir in the mashed bananas and vanilla. Stir in flour mixture until combined. Do NOT over mix. Let cool in pans for a few minutes before removing onto wire rack to cool completely. While bread is baking, prepare glaze. Whisk the maple syrup, cream and vanilla. Whisk in powdered sugar until smooth. Drizzle over cooled loaves. How many mini pans should I have available for this recipe?